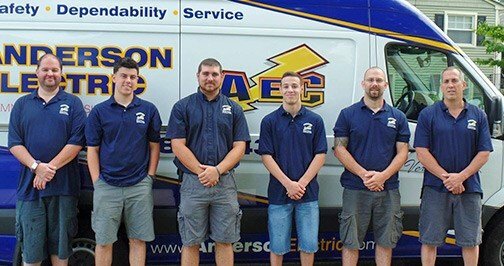 Generator Services in Montclair, NJ | Anderson Electric Corp. The convenience and comfort of owning a generator during a power outage cannot be understated. The fact of the matter is that much of the power grid across the country is aging and obsolete. Power outages become more likely during a storm, and you lose your heating system, refrigerated goods, lights, and all of your appliances. If you happen to live in an area that experiences frequent inclement weather, like New Jersey, call our experts for a generator system that will get you through it. Anderson Electric Corp.’s licensed electricians provide generator installation, repair, and maintenance services throughout Montclair, NJ. This includes portable generators and automatic standby generators, which use a transfer switch to turn on automatically after a power outage. Call today to schedule an appointment with one of our generator experts, proud to be a certified Generac generator dealer and service associate. There are all kinds of generator systems available on the market today, ranging from smaller portable ones that can power just a few systems, to whole–house models that can keep everything running for days at a time. When you work with the electricians at Anderson Electric Corp., we can help you find the best generator for installation in your home. We provide generator installation services on both portable and permanent units, so depending on what your needs are, we have a solution for you. Portable Generators – Not everyone needs the biggest possible generator that they can fit on their property, so it’s important that you do some research into what kind of generator would fit your needs best. You don’t want to waste money on a system that provides far more than you need, after all, and many people only need their generators to power a few important systems when electricity fails. Portable generators must be refueled from time to time, and they can be difficult to hook up, so call us for more information. 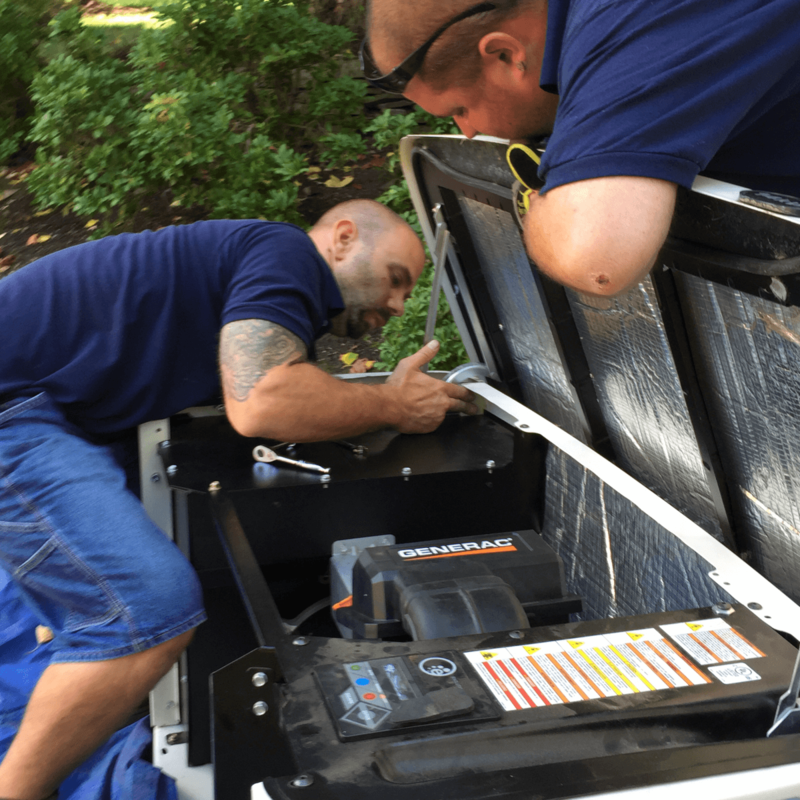 Automatic Standby Generators – Nothing compares to the power and efficiency of this type of whole–home backup generator, especially if you live in the Montclair area where we are prone to outages. The lights, heating system, water heater, TV, refrigerator, sump pump, and more power back on within seconds of an outage. If you really want to make sure that you get the right generator for your needs, the best thing to do is to consult with a professional. Our expert electricians can evaluate your property, and your energy needs to determine the best possible generator solution for you and your Montclair–area home. Not only will we make sure to provide expert knowledge to help you choose the best generator for installation, but we’ll also set it up properly, giving you round the clock access to a backup electrical option. Give us a call to schedule a generator installation services in Montclair, NJ and the surrounding area, or to learn more about our different solutions. Generators are emergency systems. They’re probably going to lie dormant for most of the year, but when they’re needed they have to work. The very last thing you want to happen is to have a power outage occur, only to realize that you have a problem that’s preventing the generator from working properly. Generators can and do develop problems over time, even when they’re not in use. Chances are you’re not going to notice a problem with the system if it develops while you’re not using it. So, the best way to catch problems before they cause a disaster is to schedule regular generator maintenance in Montclair, NJ and the surrounding area. The ideal time frame for generator maintenance is every 200 hours of running time or once a year, whichever comes first, and this is included in our scheduled maintenance. Call us to learn more. Having professional maintenance done will go a long way towards ensuring that your Montclair generator will be there for you when you need it. But if you’re experiencing trouble with your generator, we’re only a call away for expert generator repair. When you’re in need of a quick generator repair in Montclair, NJ or the surrounding area, call one of few certified Generac dealers and service providers in the Montclair area: Anderson Electric Corp.. Whether you are looking to install a new generator or need generator repair or maintenance, don’t hesitate to give us a call. Contact us today to schedule generator services in Montclair, NJ and the surrounding area.